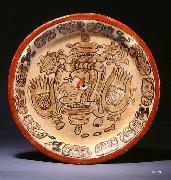 Maya Plant Use: Medicine, ornamental uses Added to balche Waterlilies have long suspected links to rituals of the ancient Maya. Water lilies were a hallucinogen. 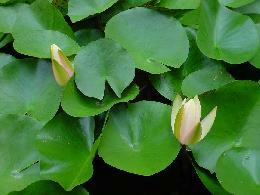 Psychoactive components of waterlilies include apomorphine, nuciferine, and nornuciferine. Botanical Significance: Waterlilies have long suspected ties to rituals of the ancient Maya. 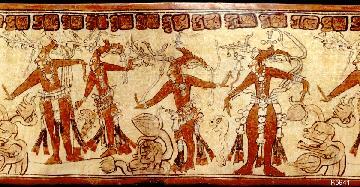 They grew in limestone sinkholes or sacred cenotes which were of great importance to the Maya. It is possible that water, or more specifically the murky depths under water were the home to ancestral spirits and important dieties. Ritual Significance: Water-lily Monster was the personification of lakes and wetlands. 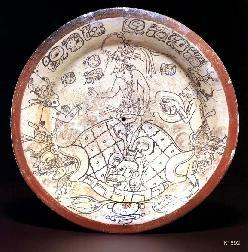 Waterlily pads and flowers are typically represented on ceramics. Imix glyph and the uninal/tun Long Count glyphs can typically be seen.